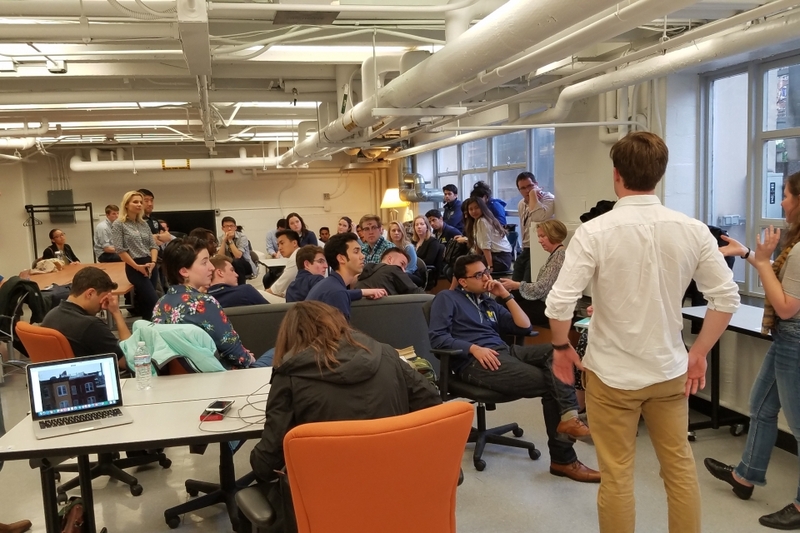 Innovators across The George Washington University have a place on campus with a supportive climate for ideation, creativity and entrepreneurial thinking. The GW Innovation Center (GWIC) facilitates knowledge transfer and acquisition of hands-on skills, new domain exploration, interaction with peers from other disciplines, alumni, and like-minded people. The GWIC aids discussions around disruptive ideas, exposure to art and affords real-world opportunities for GW students aspiring to create value for others. The GWIC is located on the mezzanine level of Tompkins Hall.